Donald Trump is denying any connection between a political contribution benefiting the Florida attorney general and her office’s decision to drop an investigation into Trump University. 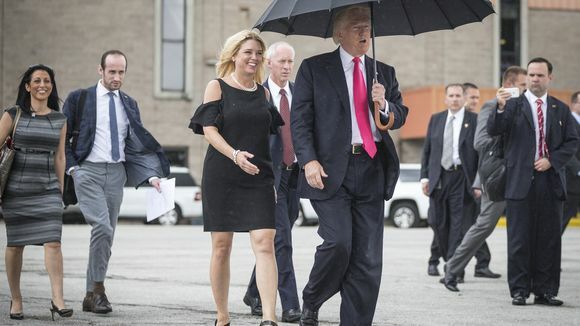 “She’s a fine person beyond reproach,” Trump said of Florida Attorney General Pam Bondi, a prominent supporter in the Sunshine State. Trump added that “I never spoke to her” about any investigation. The Washington Post reported that Trump paid a $2,500 penalty to the IRS because his charitable foundation violated tax laws with a $25,000 donation to a campaign group connected to Bondi.